Mauricio “Shogun” Rua, originally set to face off with Ultimate Fighter winner Rashad Evans, is now defending his lightheavyweight championship belt against the the phenom Jon “Bones” Jones at UFC 128. 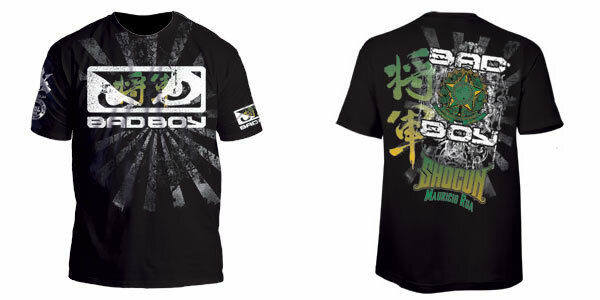 Following the best-selling Bad Boy Shogun Rua UFC 113 Walkout Shirt, is the Bad Boy Shogun Rua UFC 128 Walkout T-Shirt, a performance fit shirt featuring Kanji of the word “Shogun”, and a very awesome placement of the Brazilian flag. 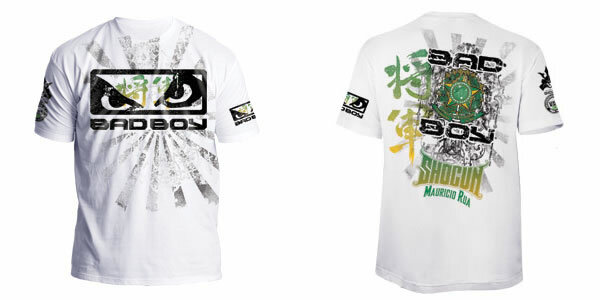 The Bad Boy Shogun Rua UFC 128 Walkout T-Shirt is available in both black and white. This bad boy of a shirt (no pun intended) is available at MMAOverload.